Pastor Isaac's schedule was filled. It was almost Christmas, and in addition to the holiday events, many of his congregation were newly engaged couples who had pre-wedding counseling sessions. When his long time secretary quits, Isaac worries about finding a replacement. Then Pansy suggests Joy Harper. If there was one person not qualified to be his secretary, it was Joy. Not only was she so shy that she could barely speak to anyone, he was attracted to her. He had decided long ago not to date anyone due to his position and the possibility of the gossip that could follow. Isaac knew he had to be particularly careful with Joy. Malicious rumors would destroy her, and he cared too much for her to allow that to happen. Finding Joy was a tender romance between two people who must find courage to be with one another. Joy's battle to overcome her anxiety so she could try to be with Isaac was touching. Watching the tables turn on Isaac to where he was now being consoled was entertaining. 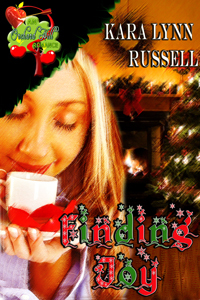 This was the perfect finale to Kara Lynn Russell's Orchard Hill Series. This is the ninth story of the Orchard Hill series where Pansy Parker and Misty Green are in a year long competition to see who is the better matchmaker.